Pastor Joe is a graduate of Trinity Lutheran Seminary in Columbus, Ohio, and a native of Boulder, Colorado. His most recent call was Director of Congregational Outreach at Bethel Lutheran Church, Madison, where he coordinated evangelism efforts including new members, hospitality, and volunteers. Pastor Joe broadened outreach efforts through community organizing with the Bethel Food Pantry, Resettlement Ministry, Hope House, The Road Home, and Dryhootch Veterans Ministry. Pastor Joe has a passion for both family ministry and the powerful role small groups can play in the life of the church. 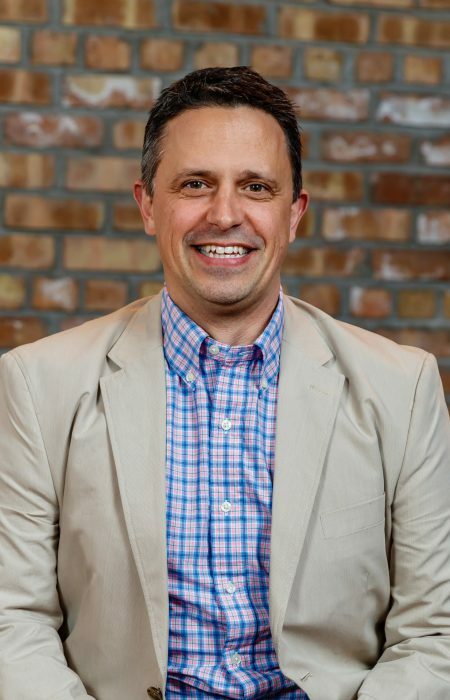 Pastor Joe also has extensive experience working with non-profits, including Healthy Congregations Inc., a family systems theory based organization that helps churches navigate change and the emotional processes that accompany it. He is a fellow of the Jewish Heritage Museum’s Fellowship at Auschwitz for the Study of Professional Ethics. Pastor Joe spent ten years as a fighter pilot in the US Air Force, during which time he lived in South Korea, Germany, and Italy. After his time in service, he spent six years as managing member of Capital City Investments in Sacramento, California, a commercial redevelopment, and finance company. Pastor Joe is married to his wife, Lynn, who is an elementary education teacher actively involved in equity work in the Middleton Cross Plains School District. They have two boys; Mason is 9 years old and Connor recently turned 7.